The development of native advertising units began around 2012 when digital media professionals felt the need to rethink and reinvent the manner in which ads are displayed. This is when huge players such as Twitter and Facebook started moving away from the traditional banner ads in another direction — to customized units, which are finely integrated and present a perfect match for their platforms function-wise and form-wise. Since then a number of startups engaged in the world of native ads raised millions of dollars in venture funding. Yep, native ads are the new black. Given the fact that the future belongs to unobtrusive advertising that offers the users highly relevant and useful content, some companies feel the need to focus on this specific area. Seriously, native advertising has not become a craze for no reason. As per BI Intelligence, native ads are expected to account for 63% of mobile ad revenue by 2020. Users look at native ads 52% more often than banners and considering the following — native ads generate from 85% to 93% more clicks than banners. While many conservative marketers are beginning to realize the power of native advertising, the planet of online advertising keeps spinning and giving rise to new phenomena. Programmatic native advertising is one of these advancements which may sound a bit scary. However, the fusion of native ads and programmatic ad delivery is worth attention, as it looks like a really robust solution to a number of marketing challenges. Let’s elaborate on what the word ‘programmatic’ means. Programmatic refers to the process of automatic ad placement on the basis of artificial intelligence and real-time bidding. 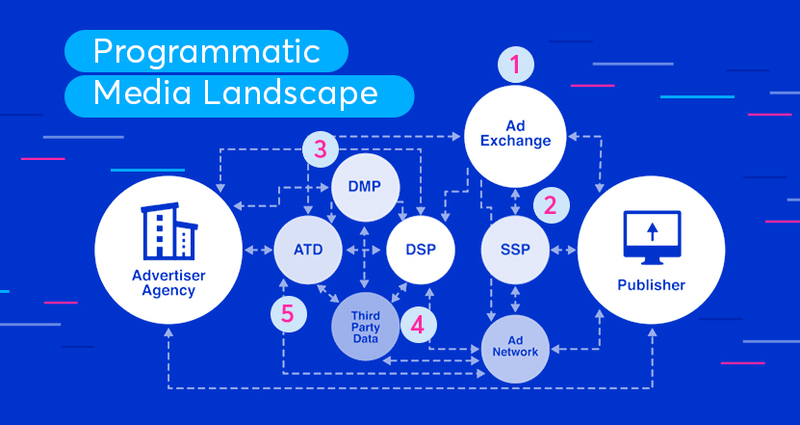 You might have heard of the ‘programmatic ad buying’ concept — it implies that the digital advertising place is bought automatically, and this procedure is fulfilled by computers using data. Contextual signals and machine learning help customize the native ads in line with the target audience parameters on relevant publishers. Programmatic native advertising literally means automation and increased sharpness: the decision-making process is no longer in the hands of the media buyers. In the realm of native ads, where relevance is the most common challenge, elimination of the human factor might be a long-anticipated step. Programmatic advertising gives an opportunity to exercise seamless targeting on various channels. However, this great format still remains a tiny slice of the digital market: publishers appear to be philosophically prepared to embrace it, but advertisers are being careful. Obviously, programmatic advertising is much more effective than display advertising, but does it mean the latter is fading out? Despite the fact that programmatic native ads give the superpower of capitalizing on maximum relevance and deep personalization, we are far from saying that display ads are a thing of the past. The marketplace is predominantly occupied by display ads. The development of native ad creatives is still a challenge simply because it demands big time investment. Moreover, measurement techniques for programmatic native are in early stages of development. From the technical standpoint, programmatic ad buying allows automating the processes which historically have given headaches to the advertisers. While traditional online marketing is focused on displaying ads on certain websites and is all about site buying, programmatic is concentrated on the audience buying: it allows finding and reaching the potential clientele in environments outside typical media. 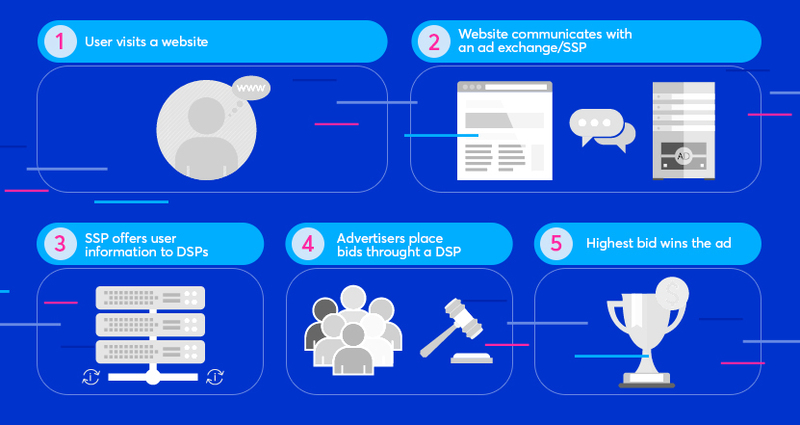 With real-time bidding or RTB, a buyer is empowered to set parameters such as network reach and bid price. Programmatic unites these parameters with the behavioral data of the audience in one platform. With programmatic marketers can focus on the goals, budget considerations, and the attribution model. 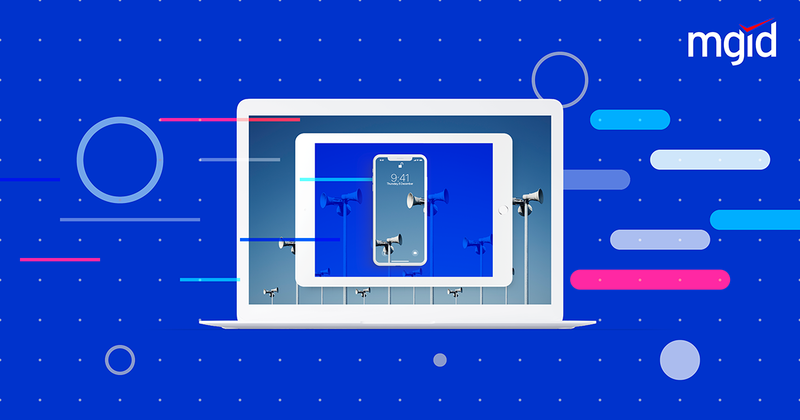 And at the same time, the platform is busy with the adjustment of the huge amounts of variables in the real-time mode in order to define the relevant settings of the campaign, and ultimately, to get the desired ROI. Speaking of the real value of automated ad buying, it provides a 100% transparent pricing model. Programmatic literally means an automated placement procedure fulfilled via selecting who to serve impressions to. Programmatic buying provides more control over what is being bought and allows tracking at what price and to whom. In combination with machine learning, programmatic buying helps to be predictive in terms of future ad campaigns’ performance. With the advancement of technologies, programmatic advertising is gaining momentum and the approaches to this essential tool are becoming more sophisticated. 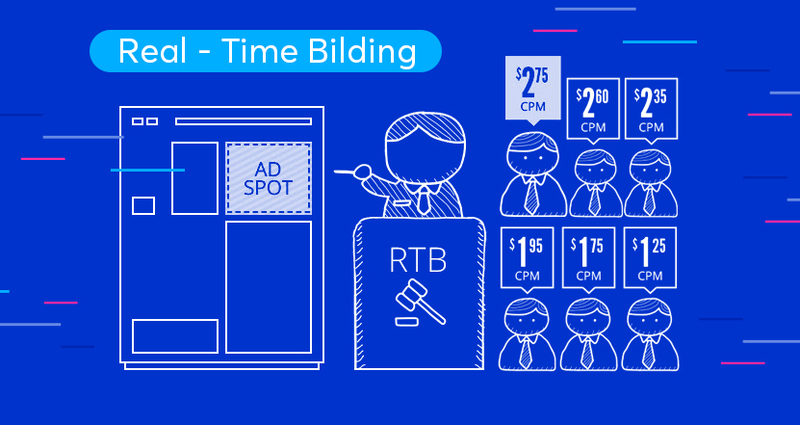 Real-time bidding will give rise to new strategies which were previously unattainable. We are safe to claim that programmatic ad buying will consequently dominate the online display market. Streamlined buying process. Just as in other automation cases where all the hard work is delegated to machines, programmatic native advertising dramatically simplifies things: instead of being concentrated on conventional media buying metrics such as RFQs (requests for quotation) and RFIs (requests for information) there is a chance to focus on the entire strategy. Cost-effectiveness. We’ve mentioned above that the engagement of this innovative approach requires investments and it is a deterrent for many, however, jumping into the programmatic train will pay for itself in the future. Programmatic native advertising provides an opportunity for real-time CPMs adjustment depending on impression value. Enhanced customer insights. Programmatic native advertising is a credible bridge to the ideal customer, having comprehensive and specific data on the devices, search keywords, geography, and many more. A holistic approach to customer’s behavior means perfectly tailored ad campaigns. Effectiveness. 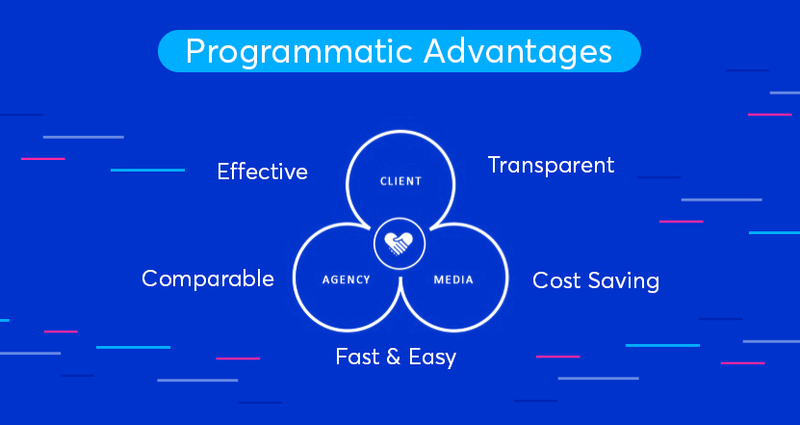 What we mean by effectiveness is that programmatic native advertising makes it possible to reach larger audiences and work on larger areas via multiple channels. Better user experience. The top marketers of the world are aware of the fact that customer experience is most important of all, and any engagement stands on trustful relationships. Judging from our experience, the user experience is better when a user does not suspect any type of content of being advertising. We live in the digital era, which provides a unique chance to work smarter, not harder. Programmatic advertising has brillianсe whereas native advertising has creativity. When science and art come together, something big and meaningful is born. Programmatic native advertising has a big future ahead, take our word for it.